We were recently asked by a customer to fit some made to measure shutters to a bay window at a home in Coney Hall in Kent. The client was looking for great light control but also privacy due to their house overlooking a busy street and road. 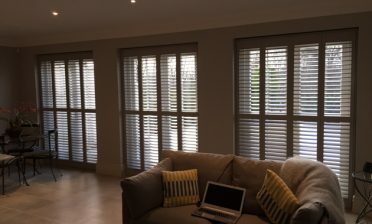 With many of these installations we recommend using a mid rail, so that you can control your privacy while also allowing for light to enter the top section of the shutters. 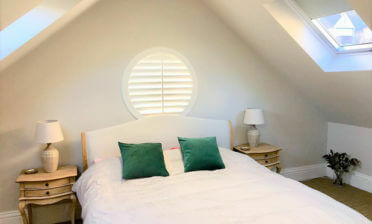 We designed and installed these shutters with the mid rail on the top quarter of the shutters so that they can take advantage of maximum street level privacy on the bottom section. 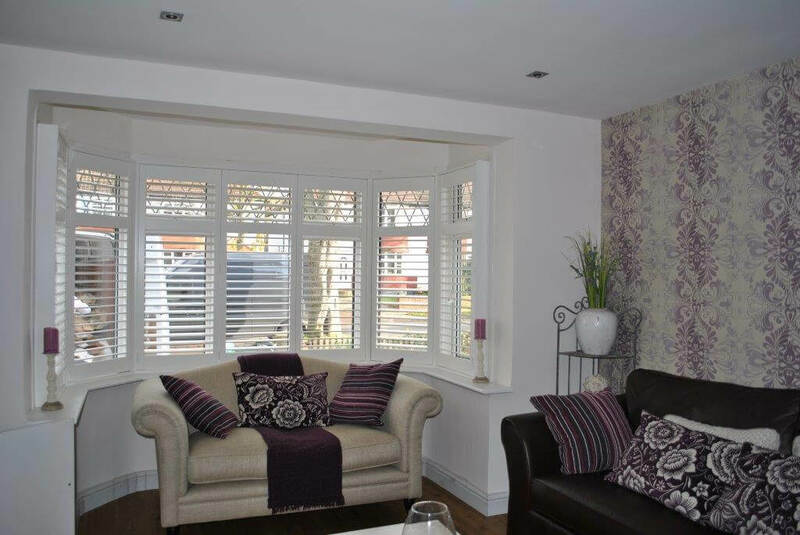 The shutters are a full height style which we regularly use for installations like this and made from Larchwood, part of our Fiji Range. 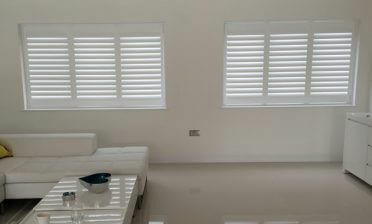 The shutters feature 64mm louvres with concealed tilt rods allowing for operation without the rods visible. We finished them in silk white, which works perfectly with the rest of the rooms decor.